U.S. FDA Commissioner Dr. Scott Gottlieb relayed a new guidance Tuesday that may shed some light on the path generic-drug manufacturers can take to get their products to market. The Food and Drug Administration aims to make it easier for generic-pharmaceutical developers to plan how they can copy complex drugs, which should ultimately lower pharmaceutical prices when more of the cheaper drugs enter the market. Certain drugs have been difficult to replicate and gain regulatory approval for, particularly drug-device combinations like EpiPen, because there has been minimal guidance from the FDA on how to adequately do so. The agency has committed to explaining how to copy complex drugs at least two years in advance of the first potential generic entrant, Gottlieb said Tuesday during the FDA's Generic Drug Science Day in White Oak, Md. The generic applicant will be approved, even if there are differences in labeling, as long as the manufacturer can demonstrate that the differences between its drug and the branded model do not affect the clinical effect or safety, he said. More clarity would help more generics get to market, which would lower drug prices, said Scott Knoer, chief pharmacy officer for the Cleveland Clinic system. This would benefit consumers, providers and insurers that have had to find workarounds to drugs that have ballooned in price, he said. Generic manufacturers have essentially been "shooting in the dark" because the FDA did not provide guidance on the scientific principles to prove sameness in cases like the EpiPen auto-injector delivery mechanism, Knoer said. "It will give generic manufacturers a head start on meeting regulatory requirements," said Knoer, adding that it should have a tangible effect on certain products. While the guidance provides some flexibility in evaluating drugs that face roadblocks to market, there is some gray area in defining how much generics can vary, said David Rosen, a former FDA official and current head of the FDA regulatory practice group at the law firm Foley & Lardner. "How much generic drugs can vary and not affect the clinical effect or safety profile remains to be seen," he said. "We have to make sure we do things that are in the best interest of the patients." Still, facilitating more communication between drug manufacturers and the FDA is a good thing, Rosen added. Gottlieb and other healthcare policy experts have been pushing for more low-cost generic-drug approvals as a means to lower pharmaceutical prices. The FDA has published a list of off-patent branded drugs without approved generics in response to some companies that have hiked the price of decades-old off-patent drugs that had minimal competitors. 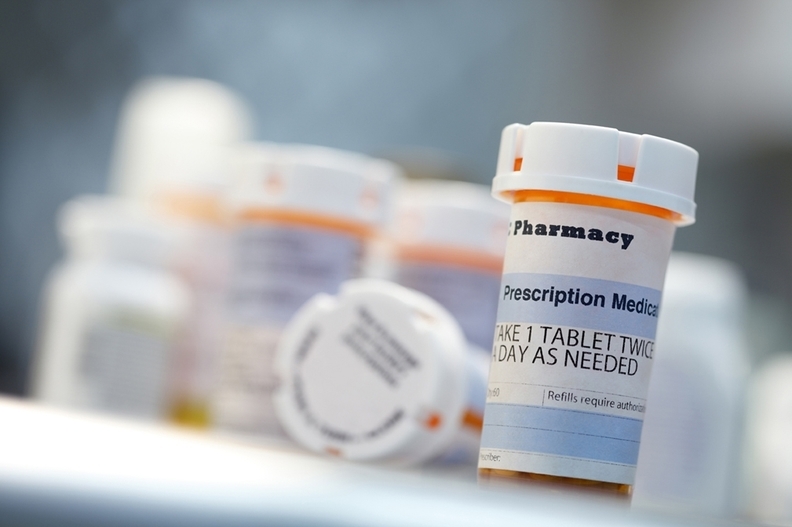 The agency has pledged to prioritize certain generic-drug applications for branded drugs that have less than three competitors, and it also aims to clear the existing orphan drug request backlog and streamline the response process. Their efforts, coupled with the renewal of the Generic Drug User Fee Act, have seemingly paid off. The FDA approved 763 generic drugs in fiscal 2017, setting the mark for the most approved in a single year, outpacing last year's record high by 112 generic approvals, according to the agency's 2017 generic drugs activities report. Prices typically fall more significantly when there are multiple generic alternatives on the market, according to the FDA. While the first generic competitor typically only prices its product slightly lower than its brand-name counterpart, the price is cut to nearly half when there are two generics on the market, the agency said. Public outcry erupted when Mylan bought the rights to EpiPens and increased the injectors' list price nearly 550% to more than $600. Valeant Pharmaceuticals pulled a similar stunt when it acquired the heart drugs nitroprusside and isoproterenol, which are widely used in hospitals nationwide, and raised prices over 30-fold and 70-fold, respectively, over a three-year span. Nearly two dozen companies have since been accused of price-fixing and manipulating markets in a civil probe by a number of U.S. states. Although the main ingredient in the EpiPen, epinephrine, had been available for years and was not patent protected, generic competitors had trouble passing regulatory muster with an adequate copy. "We still don't have a generic version of conjugated estrogen, and we've had some products like an enoxaparin generic that took some time," Rosen said. "Anything we can do to facilitate that stuff helps." While the new guidance will help stop drug companies from blocking approval of copies, which Mylan did with generic EpiPens' device components, new products backed by lower-budget companies will still have an uphill battle to gain market share, said Erin Fox, who directs the Drug Information Center at University of Utah Health. "Brand-name companies will be able to market their product as 'better' because it doesn't work exactly the same," she said. One key element will be if the FDA approves these generics as interchangeable, experts said. If they aren't, pharmacists could only substitute a lower-cost product at the pharmacy with the doctor's approval. "If the FDA allows approval of such products and certifies them as interchangeable, it will help expand competition and promote timely access to safe, effective lower-cost drugs," said Ameet Sarpatwari, assistant director of the program on regulation, therapeutics and law at Brigham and Women's Hospital and Harvard Medical School. Some are still concerned that branded-drug manufacturers will be able to elude competition by manipulating patent and regulatory loopholes. Branded-drug manufacturers have overwhelmed generic competitors with an onslaught of patent infringement lawsuits and have denied them the samples needed to replicate their drugs to stall perceived threats. Allergan took the uncharted approach of transferring the patents on its $1.4 billion eye drug Restasis to the St. Regis Mohawk Tribe, on the theory that the tribe's sovereign immunity protects the drug from generic competitors. A U.S. District Court has since ruled the patents invalid. "We have to make sure, when a company is filing as many late-stage patents as they are, that there's heightened scrutiny associated with it," Chip Davis, president and CEO of the Association for Accessible Medicines, the trade association for manufacturers and distributors of generic prescription drugs, told Modern Healthcare in October. Manufacturers' "anticompetitive creativity fueled by their flagrantly aggressive pricing strategies" is astounding, Cleveland Clinic's Knoer said. "It's like whack-a-mole," he said. "Just when you solve one problem, a different one pops up."